The Majesty Cherry Hardwood Cremation Urn is handcrafted in solid cherry with an elegant cherry finish and laser etched decorative border at the lower edge of the urn. The urn loads easily through a bottom opening panel attached with screws. 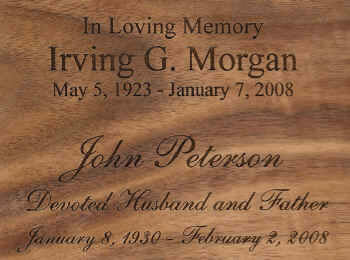 These cremation urns are manufactured in the Northwest by a small but talented group of woodworkers.